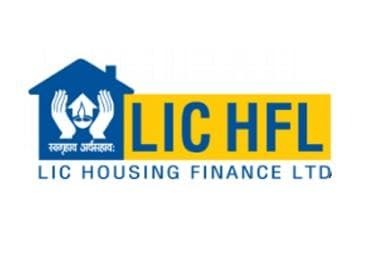 Mortgage lender LIC Housing Finance Wednesday reported a 26 percent growth in net profit at Rs 596.31 crore for the December quarter boosted by the impact of the lending rate increase effected towards the end of the previous quarters which drove the net interest income up 41 percent. "The quarter has been fairly good for us. During this year we affected a 60 bps rate hike. The impact of the hike was seen in various quarters but in the third quarter we saw highest benefit," managing director and chief executive Vinay Sah told reporters. This has helped the company login a healthy 41 per cent increase in the core net interest income jumped at Rs 1,042 crore from Rs 737 crore a year ago even though net disbursement rose only marginally. The average lending rate stood at 10.45 percent in the December quarter when the lender saw a reduction of 25 per cent in loan takeovers. Total disbursement marginally grew to Rs 12,778 crore as against Rs 12,293 crore for the same period in previous year. Disbursements of individual loans rose to Rs 9,170 crore from Rs 8,935 crore while those in developer loans grew 28 per cent to Rs 1,238 crore, pushing up the total income 22 per cent to Rs 4,439 crore. Gross NPAs rose to 1.26 per cent from 0.87 per cent, and net NPAs almost doubled to 0.85 percent from 0.49 percent. Its cost of funds increased 15 bps to 8.38 percent in the reporting quarter. The company's scrip ended 4.24 per cent down at Rs 434.15 on the BSE which closed flat.